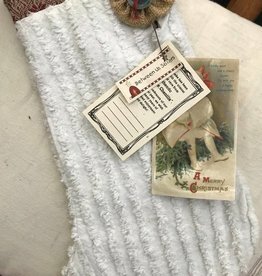 This one piece Santa made from painted, stained and sanded muslin is holding a Merry Christmas banner. 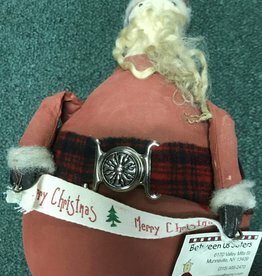 His beard is made from real sheep wool and he stands about 10" tall. Great addition to your collection. 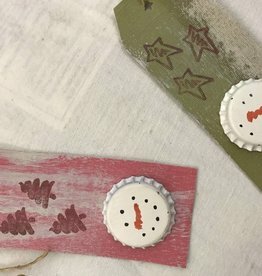 These delightful snowmen are made from bottle caps, painted and distressed. 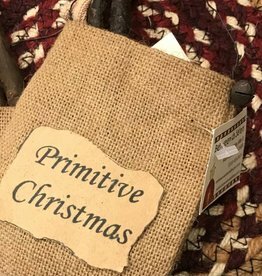 They are attached to a hand cut gift tag that has been white washed and distressed. 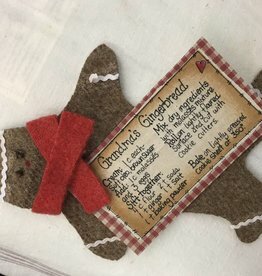 Makes a great ornament or gift tag. 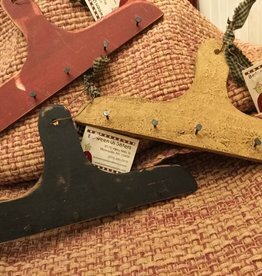 These handmade, painted and aged boards are perfect for hanging prim candle tapers or anything. About 7" at widest point. 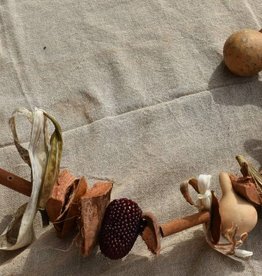 This garland is approx 8 foot long with rusty jingle bells tied on throughout the length. 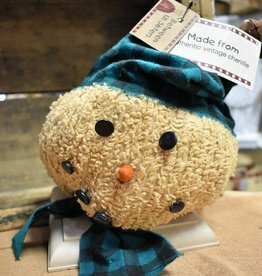 The adorable snowman is made from vintage chenille and is sitting on a square of pine board. 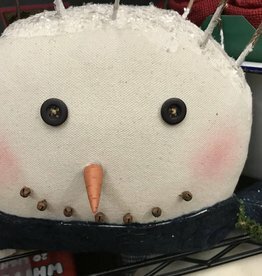 About 12 inches high and 10 inches across. 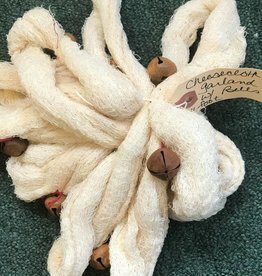 This is made from authentic vintage chenille and the top is vintage fabric and also adorned with a fabric yoyo. About 12 inches long. One of a king. 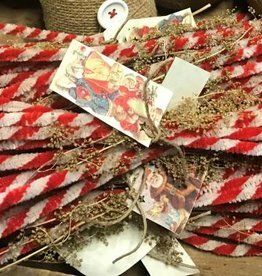 Bundles of 6 aged, cinnamon dusted "candy stix" are tied with a sprig of Sweet Annie and vintage Santa tag. 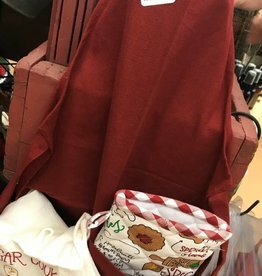 Probably too big to ship, but an awesome item. 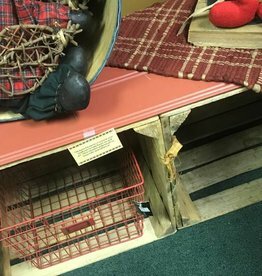 Two matching crates have had a wood flooring top attached. 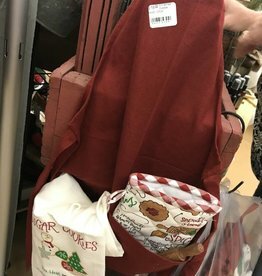 Room to tuck a basket full of mittens underneath or boots while they dry. 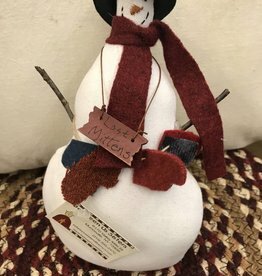 This delightful standing snowman is made from a Sweet Meadow Farms pattern. 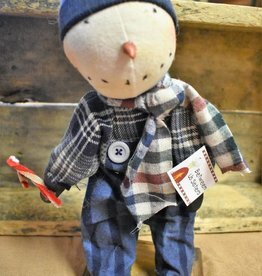 He stands about 15" tall and is wearing flannel pants, shirt and scarf. His body is made from soft gently aged flannel. 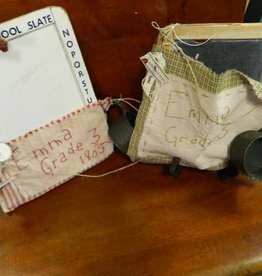 These "Emma" stitcheries are holding a vintage school slate. Great Children's decor. 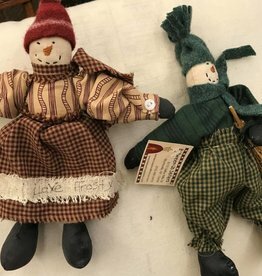 Frosty has collected a bunch of "lost mittens" and is holding them on display. 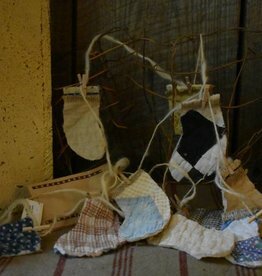 Made from a vintage tablecloth, hand stitched face and wool mittens. Approximately 10" tall. 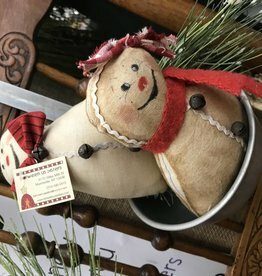 This is a delightful Gingerbread ornament, with stained ricrac trim, a wool scarf and fabric recipe. Approximately 6" tall.